The country’s best known Drag Racing School is returning to Pacific Raceways in Kent, WA! The school will be holding its most popular course, the two-day Super Class on August 6-7, 2014. “We can’t wait to get back to Pacific Raceways”, said school founder and instructor Frank Hawley. “Washington state is one of the most beautiful in the country and we love visiting there. We’re really excited to be able to offer this program to the racing enthusiasts in the Northwest,” continued Hawley. Many people come to Frank Hawley’s for race training and NHRA licensing, but the course isn’t limited to aspiring professionals. “Although we train a lot of serious racers, this course is for everyone. Some folks don’t need an NHRA license. They’re just looking for excitement and challenge,” said Hawley. “I wouldn’t want anyone to feel intimidated if they didn’t have any ‘fast car’ or racing experience. Every class we run has a range of drivers, from those with a solid racing background to some that have never seen a drag strip before,” continued Hawley. No experience is necessary to take the course and several spots are available for drivers to participate in the class utilizing their own car for training as well. If you’re looking for a racing license, Frank Hawley’s Drag Racing School offers NHRA licensing courses in Super Comp and Super Gas. 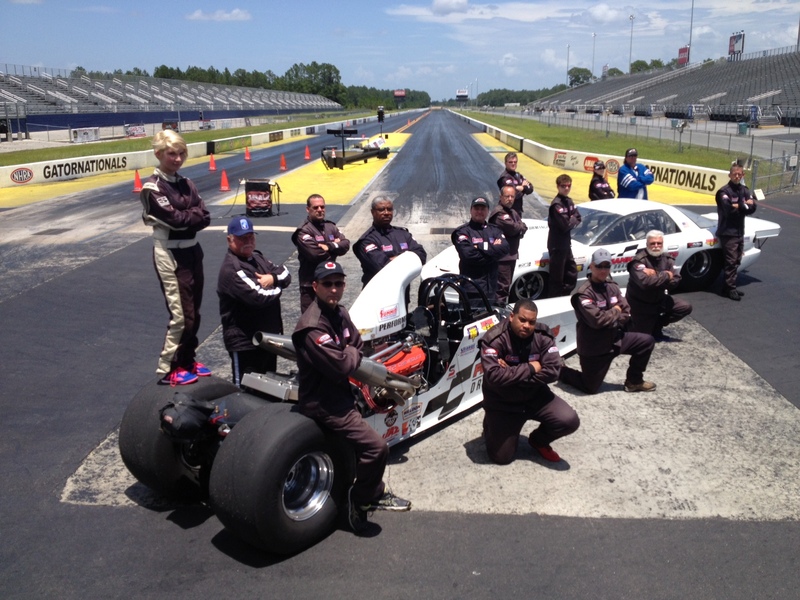 A driver can obtain his/her NHRA 4A and/or 4B license upon completion of the two-day course and be certified to compete as quick as 7.50 seconds in a quarter mile. This class is known as the “Super Class”, the school’s most popular program. Graduates have gone on to be many of today’s top sportsman and professional drivers throughout all of the drag racing sanctioning bodies across the globe. 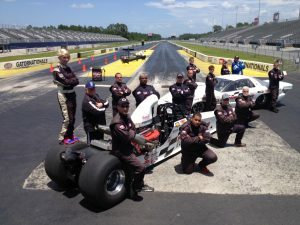 The curriculum, designed and instructed by Two-Time NHRA Nitro Funny Car World Champion Frank Hawley, includes classroom instruction, progressively faster runs down the strip and video reviews of each student’s runs. 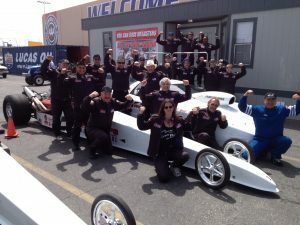 Those new to drag racing will learn basic techniques and procedures and more experienced racers will master the mental challenges. Frank Hawley teaches students how their minds and bodies work while training each class to think, act and perform like champions. As with any of the Frank Hawley’s Drag Racing School classes or locations throughout the U.S., space is limited and must be booked in advance. Interested parties are urged to reserve their seat as soon as possible to ensure they don’t miss their opportunity to work with the Two-time NHRA Nitro Funny Car World Champion, Frank Hawley. To view our Super Class video or obtain more information on all available classes, dates and locations for Frank Hawley’s Drag Racing School, visit the school’s website – www.frankhawley.com – or call 866-480-7223 (Outside U.S. 678-804-8835). The school’s also on Facebook, Twitter @Frankhawleydrs and YouTube! Frank Hawley’s Drag Ra cing School will return to hold its most popular course, the two-day Super Class, at Summit Motorsports Park in Norwalk, Ohio. The one and only 2014 stop for the school at the premiere NHRA facility will be held July 21 and 22. The two-day Super Class allows drivers of all backgrounds the opportunity to earn their NHRA competition driver’s license in the school’s Chevy Performance 572/720R equipped Super Comp Dragster or Super Gas Firebird, with some drivers even leaving the class with both licenses, all while being able to take in Hawley’s Personal Performance Development lectures. No experience is necessary to take the course and several spots are also available for drivers to participate in the class utilizing their own car for training, as well. As with any of the Frank Hawley Drag Racing School classes or locations throughout the U.S., space is very limited for the class to be held July 21-22 at Summit Motorsports Park. A few seats are still available, so don’t miss the opportunity to work with the Two-time NHRA Nitro Funny Car World Champion, Frank Hawley, when the school makes its one Ohio stop for 2014. See our complete list of all upcoming class dates and locations on our website or call us at 866-480-7223!